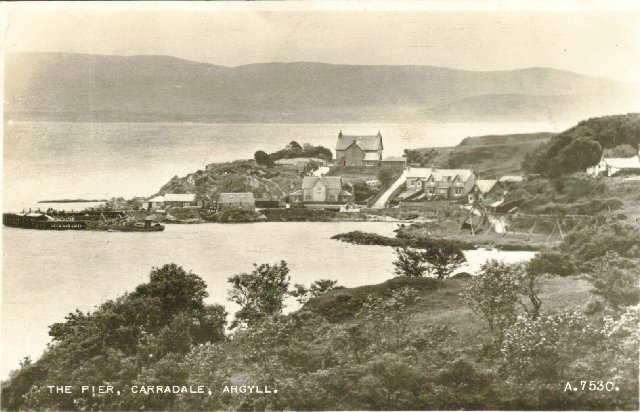 A selection of old photographs and postcards of Carradale and the surrounding area. and no commercial use without permission. Nice view of Waterfoot, postmarked 1962. The boat in the foreground is the CN25 (Irma). 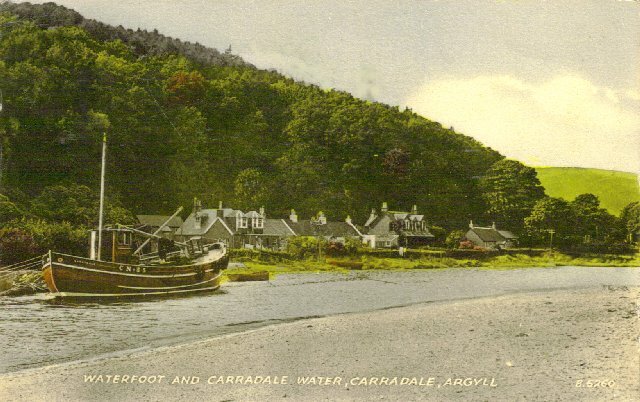 Carradale harbour. 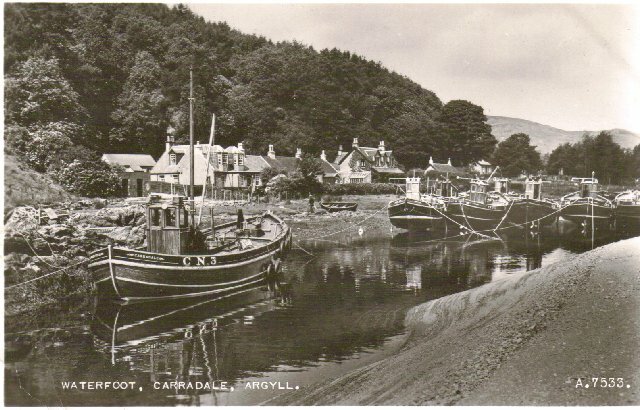 The postmark is Carradale Pier but the date is unclear - probably the 1940s. 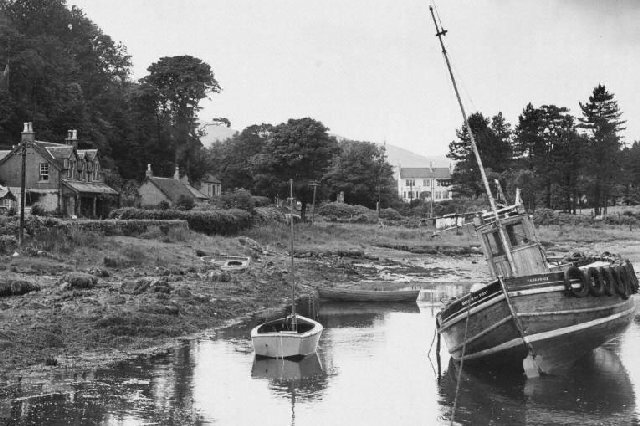 Fishing boats at Waterfoot, dated 1952. The boat in the foreground, CN3, is the 'Watercress'. 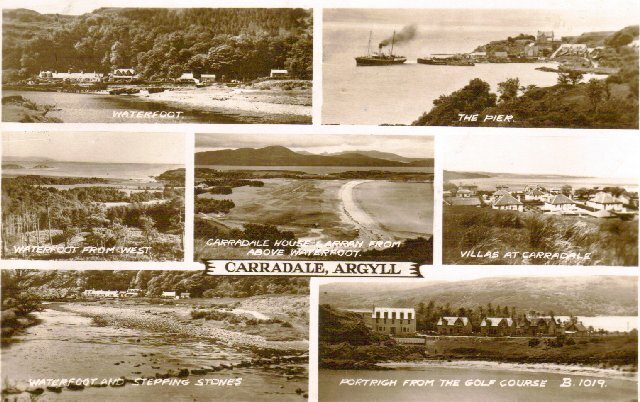 Seven different views of Carradale, dated 1949. 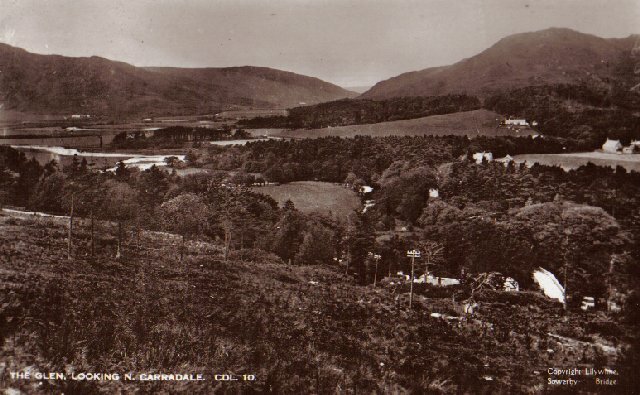 A view north up the Carradale Glen from the hill above Dippen Bridge. 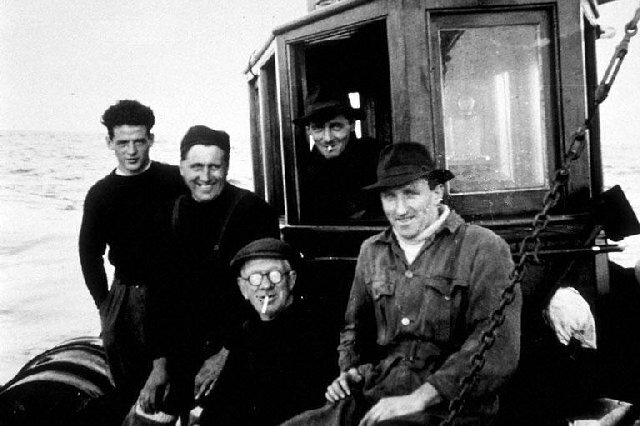 The crew of the fishing boat Mhairi Bhan, 1950s. 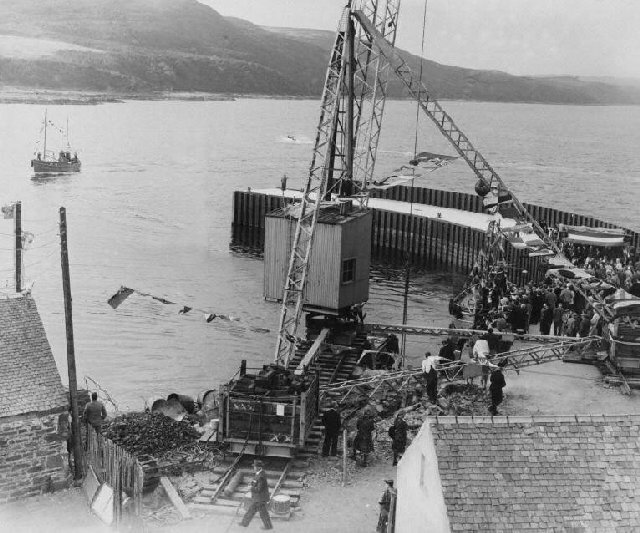 The day of the opening of the new pier at Carradale in 1959. 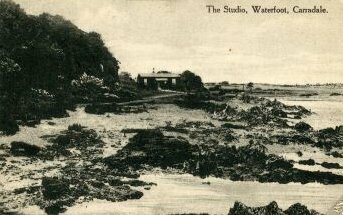 The Studio, at Waterfoot, taken from a postcard. 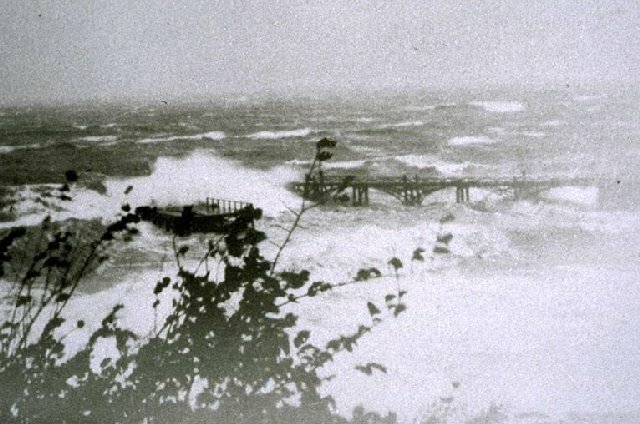 Fishing boat at Waterfoot, Carradale: "The Queen of the Fleet"
Superb photograph of the old pier at Carradale, being subjected to some of the Kilbrannan Sound's winter wrath during October 1949. Postcards and other submissions remain the copyright of their owners.